A small, French antique chain-mail coin purse, a recent purchase from Corey of Tongue in Cheek Antiques. A page from an antique French dictionary, in which the tiny coin purse was wrapped for safe shipping. 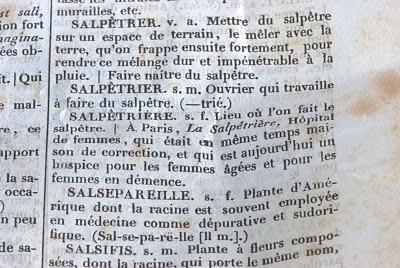 French: Salpêtrière. Lieu où l'on fait le salpètre. À Paris, La Salpêtrière, Hôpital de femmes, qui était en même temps maison de correction, et qui est aujourd'hui un hospice pour la femme âgées et pour les femmes en démence. 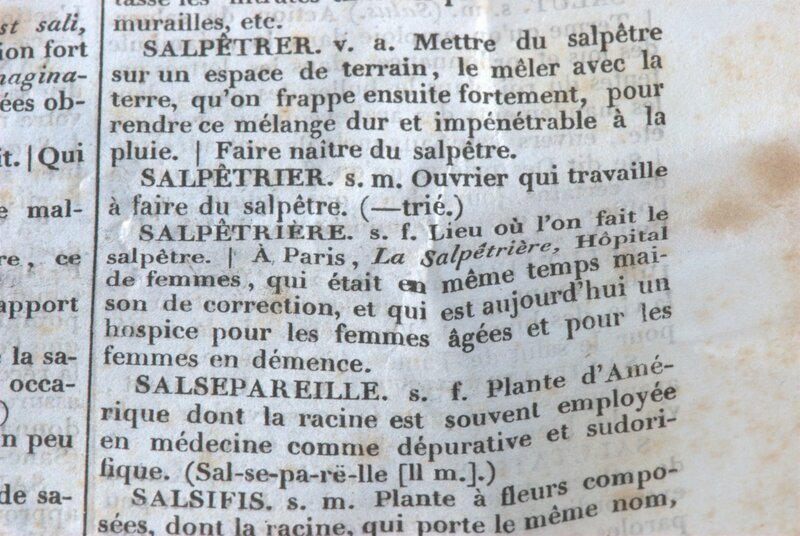 English translation: Salpêtrière. Place where saltpeter [one of the ingredients for making gunpowder] is made. In Paris, Salpêtrière, Hospital for women, which was once a house of corrections, but is now a home for elderly women and women who are insane. 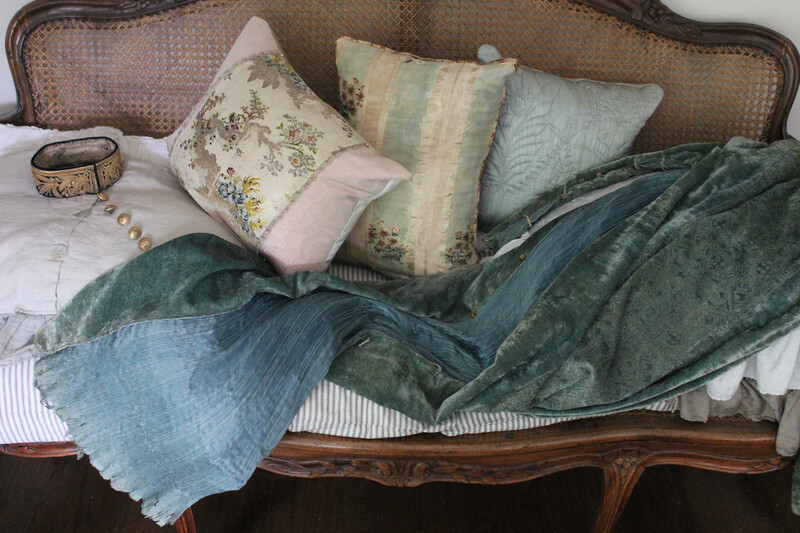 When little French antique treasures arrive from Tongue in Cheek Antiques, the pieces of old papers, in which they are wrapped, are often as precious as the treasures. When this tiny chain-mail coin purse arrived, it was wrapped up in a page from an antique French dictionary. The paper appeared to be from around the 1800's. As I smoothed the page out, a definition immediately jumped out at me...Salpêtrière. I was stunned, for Salpêtrière is the Paris hospital where my daughter almost died, by her own hand, some years ago. I shall never forget the phone call from Paris, the flight...not knowing if she would be alive when I arrived. When I finally made my way to Salpêtrière and to her bedside in the cardiac ICU that August day, she lay barely alive, pale and naked under a sheet, with tubes running from her body to numerous electronic monitors. Grateful but terrified, I maneuvered through the tubes and plugs to take her hand, wondering why my daughter had decided she no longer wanted to live. 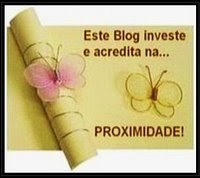 That was years ago and in spite of herself, she lived...she survived an unfaithful French lover. She vaguely remembers him now, and I often think how horrible it would be to kill oneself over a man who is not memorable. 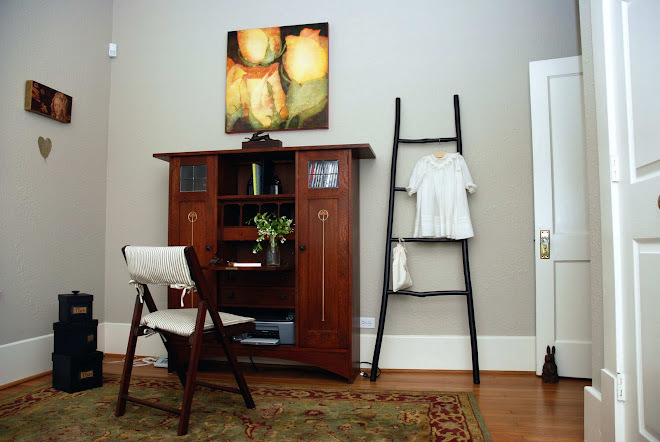 Since Salpêtrière in Paris, there hadn't been a time that I didn't feel my heart sink when the phone rang, that I didn't awake, dreading that I would eventually loose my daughter. Then this little coin purse, wrapped in that old page from an antique French dictionary, was dropped through the mail slot, landing on the floor next to the old easy chair where I sat. As I mulled over the coincidence, I recalled that Corey, who had sent it, is a cancer survivor who had been saved by the French medical system. That same system had also saved my daughter. I choose to believe that the serendipity, of the coin purse and the ancient page with Salpêtrière printed on it, is a sign for me to forget the fear of that time in Paris...to remember only that my daughter survived. So, I shall wear the tiny purse around my neck on a chain and inside there will be a snippet of antique paper on which is printed the 1800's description of the Salpêtrière. And I'll toss in the old French francs that I saved from that poignant Paris trip. Peace of mind sometimes arrives in strange, unexpected packages. Note: This Paris hospital is now known as Pitié-Salpêtrière and is a prestigious teaching hospital. You may know it as the hospital where Diana, Princess of Wales, died in August, 1997. Read about Salpêtrière's long and interesting history here. I think it was sent to you for a reason, probably for the one you mentioned. It sure is a darling little coin purse.